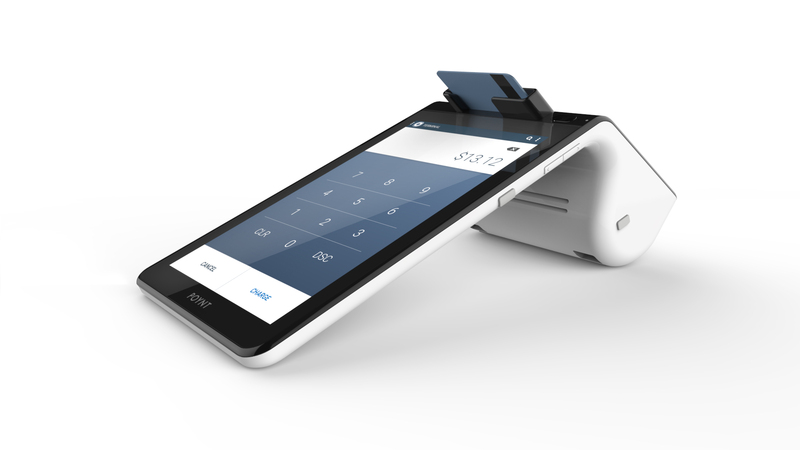 PALO ALTO, CA--(Marketwired - October 22, 2015) - Poynt Co., makers of the world's first Smart Terminal, today announced that both its hardware and software platform have received PCI PTS, PCI-DSS, and EMV-certification, making it the first fully certified smart terminal on the market today. Certification marks a major milestone for the company as it prepares to ship to distribution partners and resellers. "Many said that certifying the Poynt Smart Terminal would be impossible because of the complexity involved with introducing such a fundamentally different payment terminal -- two screens, touch PIN pad, connectivity, computing power, third party apps -- but we worked closely with the certification bodies so that we could deliver a device with the highest level of security that also meets the needs of today's merchant," said Poynt founder and CEO, Osama Bedier. "The Poynt Smart Terminal offers functionality that was previously unimaginable in a remarkably sleek, simple, and affordable device. With certification, Poynt can now give millions of merchants their iPhone moment." The Poynt Smart Terminal combines the unlimited versatility of mobile devices with the latest payments technology in a future-proof multi-purpose device. Flush with a new round of funding and key executive hires in addition to certification, the company is poised to usher in a new era of connected commerce. The Poynt Smart Terminal will make its debut as the EMV-migration begins -- the largest payment infrastructure change in US history. The EMV mandate dictates that in order to avoid bearing the liability risk for fraud, merchants must upgrade their payment terminals to accept chip cards. As millions of merchants make this change, they are expected to switch to terminals equipped for NFC in order to accept Apple Pay and Android Pay. The Poynt Smart Terminal is the only payments device built from the ground up to accept all payments methods relevant for the next decade -- traditional cards, EMV (chip and PIN), NFC (Apple Pay and Android Pay), QR code, and beacon. It is also highly scalable so that it can satisfy a diverse range of experiences for merchants of any size, and its developer platform ensures merchant users will never again have to worry about upgrading to accommodate whatever technology comes next. "The terminal's potential has long been overlooked," said Dana Stalder, former SVP at PayPal, Poynt board member, and general partner at Matrix Partners. "One of the things Poynt has done so well is to reconstitute the terminal as the next great mobile frontier, one ripe for development. With certification, Poynt will be a true force right out of the gate. No one can match its capabilities." To learn more about the importance of certification, the functionality of the device, and how it will influence the future of commerce, please visit poynt.com.